FEI Partners with Australian Microscopy & Microanalysis Research Facility to Develop Online Microscopy Education & Outreach. MyScope Outreach will enable people to discover the unseen world through microscopy. Hillsboro, Ore., U.S. and Sydney, Australia/November 2, 2015—FEI (NASDAQ: FEIC) and the Australian Microscopy & Microanalysis Research Facility (AMMRF) have joined forces to bring the joy of microscopy to the general public through MyScope™ Outreach. “We are pleased that FEI is the first to join our MyScope™ Corporate Partner Program. With more than 60 years of microscopy innovation and leadership, FEI shares our passion and commitment to communicating the power of microscopy for discovery and solving global challenges,�? states Dr. Miles Apperley, CEO, AMMRF. MyScope Outreach will be a free, online tool designed to make microscopy education and outreach accessible to a global user community, regardless of age, educational background, or socio-economic history. It will be available in Q1 2016, and will specifically target school-age (K-12) children and their associated science education program. “MyScope Outreach is an important part of FEI’s initiative to get more kids interested in science, technology, engineering and math (STEM) education,�? states John Williams, FEI’s vice president of corporate marketing. “It will feature fascinating images of different kinds of samples that are ready to be explored using an interactive, virtual microscope that simulates an electron microscope.�? 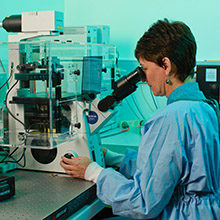 The AMMRF originally launched MyScope in 2011 as an online education and training tool for microscopy and microanalysis techniques. MyScope now provides global research training for more than 100,000 students, scientists and engineers annually. For more information about MyScope, please go to http://ammrf.org.au/myscope/. To learn more about FEI’s STEM outreach efforts, please contact FEI at contactus@fei.com. 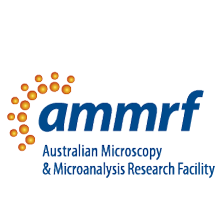 The AMMRF is a network of Australian microscopy laboratories that provides instruments, expertise and training to researchers. 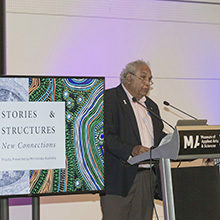 Formed as part of the Australian Government’s National Collaborative Research Infrastructure Strategy (NCRIS), the facility enables discovery and innovation in fields from healthcare and agriculture to engineering and resources. FEI Company (Nasdaq: FEIC) designs, manufactures and supports a broad range of high-performance microscopy workflow solutions that provide images and answers at the micro-, nano- and picometer scales. Its innovation and leadership enable customers in industry and science to increase productivity and make breakthrough discoveries. Headquartered in Hillsboro, Ore., USA, FEI has over 2,600 employees and sales and service operations in more than 50 countries around the world. More information can be found at: www.fei.com. This news release contains forward-looking statements that include statements regarding the performance capabilities and benefits of MyScope Outreach. Factors that could affect these forward-looking statements include but are not limited to our ability to manufacture, ship, deliver and install the tools, solutions or software as expected; failure of the product or technology to perform as expected; unexpected technology problems and challenges; changes to the technology; the inability of FEI, its suppliers or project partners to make the technological advances required for the technology to achieve anticipated results; and the inability of the customer to deploy the tools or develop and deploy the expected new applications. Please also refer to our Form 10-K, Forms 10-Q, Forms 8-K and other filings with the U.S. Securities and Exchange Commission for additional information on these factors and other factors that could cause actual results to differ materially from the forward-looking statements. FEI assumes no duty to update forward-looking statements.